The blue ash glaze (recipe from Briscoe) looks accidental and random, earthy. But apart from the sky (often) and water (sometimes), why is there not so much blue in nature? The blue berry, blue bird, and blue butterfly are absolutely attention-getting. This Saturday, 7 May, District Clay will have an open house and pottery sale. The first 100 people in the door will receive a free cup, made by a variety of us. These are some of mine. Cookies and milk? Rye and cashews? 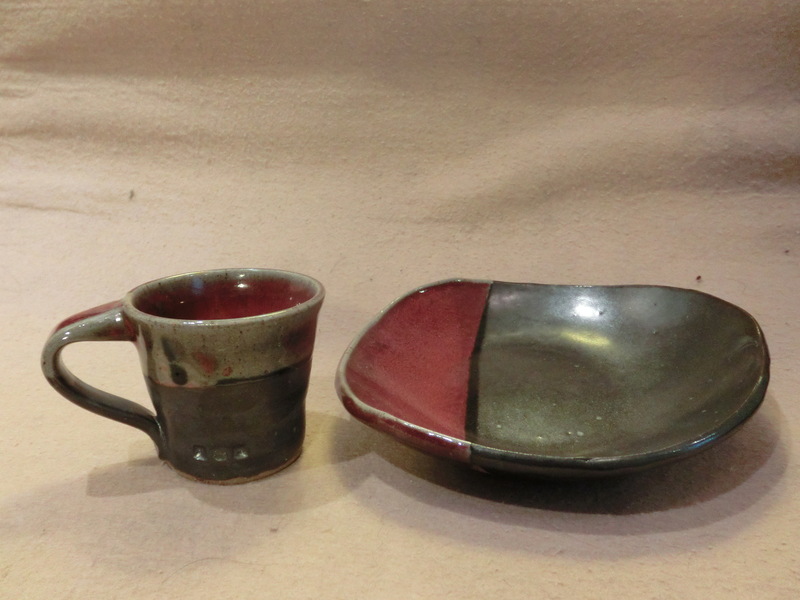 Small vessel and plate in Pinnell’s Red and gunmetal. 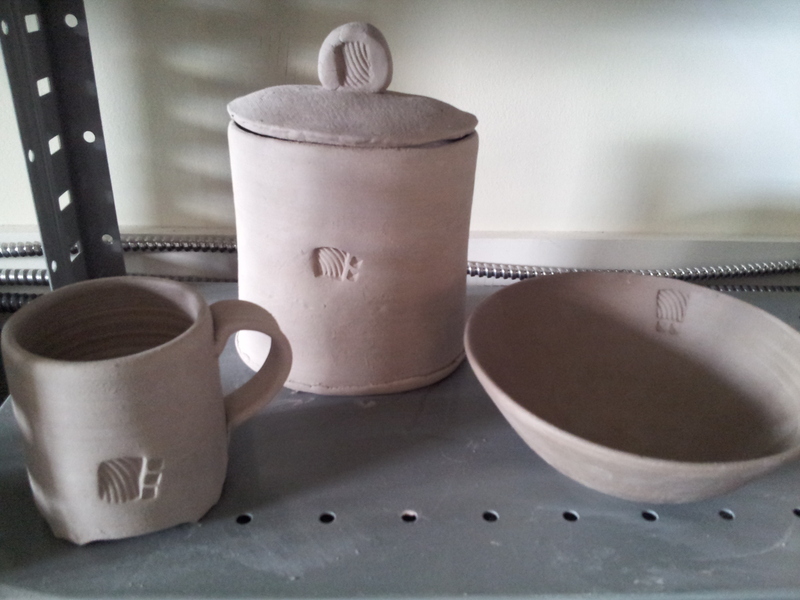 Cup, jar and bowl, before and after glazing and firing. The cup and bowl are nice, with a personal stamp and three chopstick pokes, glazed in yellow, what I would have called “moonpax” in another studio. The jar and its lid are not on speaking terms. Photos by me at District Clay and at home, June 2014.